We produced outdoor furniture for beach living and home living outdoors. 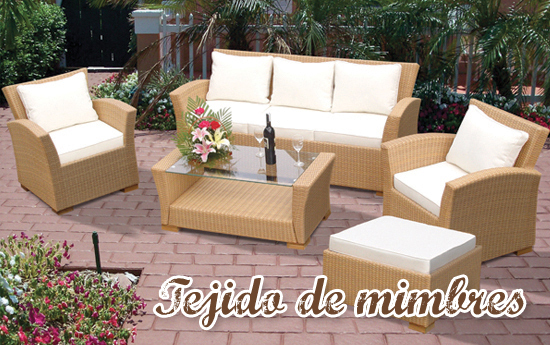 If you like to feel the breeze of the wind in the summer and drink your favorite drink in the patio of your house. We make furniture made to measure according to your own design. Relax and enjoy with style in furniture made to your specifications. With the rich color and warm rattan texture, the Contemporary Outdoor Collection offers the ultimate in function and style. This unique collection is crafted from distinct large scale premium materials. The straightforward, clean design of the footed sofa and sectional collection features inviting, generous backs, thick cushioning and extra wide arms for truly exceptional comfort. 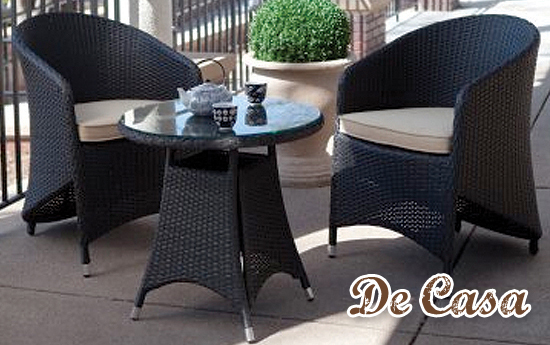 The De Casa bistro set is the perfect outdoor setting for drinks with a friend. Designed for comfort and function, this bistro set includes a glass-top table and two chairs with seat cushions. 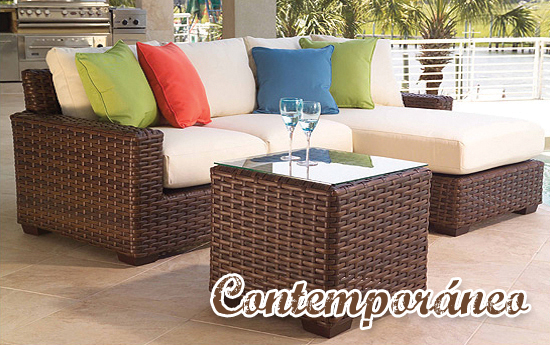 Each pieces is crafted of a durable frame covered with woven wicker. Finished in a dark Brown Java, this finish has a textured, slightly matted appearance for a more natural, authentic look. 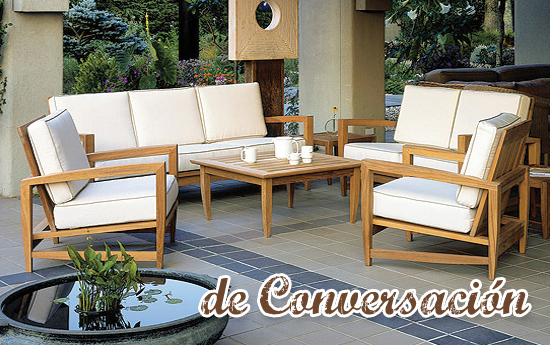 The Conversación furniture outdoor collection offers a contemporary design for an urban outdoor atmosphere. The clean lines of the collection are fitted with deep seating cushions to create a unique style with extraordinary comfort. It’s a perfect combination of timeless design and quality construction with the strong resilience of weather-resistance. Overlook the warm blue waters of the Caribbean with a refreshing drink outdoor and a sunny breeze on your face. The high back seating maximizes comfort while making a fashionable statement. 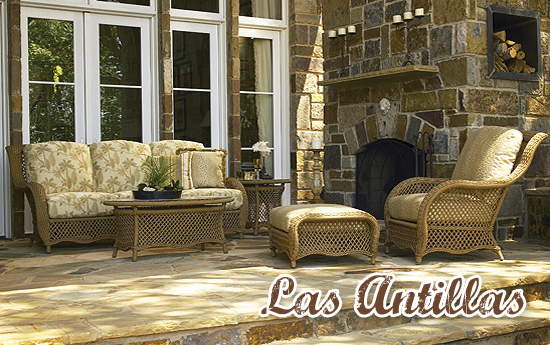 The open weave design is woven over sturdy aluminum frames, providing the durability to weather the ages. Nothing compares to Teak when it comes to strength, durability, appearance and low maintenance. 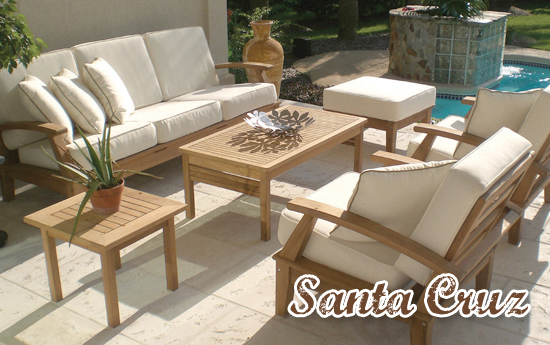 Hefty cuts of premium teak are fashioned into generously-scaled deep seating patio furniture with classic mid-century styling. The Tejido collection is ideal whether you’re looking for an outdoor wicker set to use in a sun room or by the swimming pool. The full weave, full profile design, makes this wicker deep seating set a great collection for any outdoor living area with quality and comfort in mind. Also available in most stains. Don't hesitate and contact Fine Furniture or Sarchí today.